At one point or another, the online world had no idea who these people were. No one has ever read any of their posts. No one valued their opinions. Neil Patel‘s name is practically synonymous with KISS-simple analytics. Derek Halpern confidently sets trends in both marketing and fashion. Thanks to him, most major department stores are still sold out of hot pink sweaters. Corbett Barr became a master of balancing pina-coladas and his trusty laptop on the beaches of Mexico, living out the dream of most online business owners. Marcus Sheridan grew too big to regularly stop by TGC like he used to, leaving me with the lion’s share of staying in touch, which I am happy to do. Ana Hoffman… well, she still wonders why anyone would ever listen to her. 1,000 Visitors in 30 Days? Paul McCarthy from IMImpact.com has recently asked several of the top online marketers what we would do to get 1,000 visitors to our site within the first 30 days. There’s no doubt in my mind that you are just as curious as I was to find out how those experts answered the question. For now, I’d like to expand on my original response to Paul’s question. Back when I first started a couple of years ago, I did one thing right – I never told anyone I didn’t quite know what I was doing yet. It’s all about your presence. And the next step is to get others to believe in you just like you believe in yourself. It’s time to show others what you’ve got. The best way to create traffic is to find someone who’s already driving a substantial amount of it and tap into it. Tap into OTHER PEOPLE’S INFLUENCE (OPI). The most traditional example of that would be guest posting. However, I am not talking about “find a couple of random blogs to post for, write a variety of miscellaneous articles (topics varying wildly) and then hope for the best” kind of guest posting. A great guest post is the one that benefits the hosting blog, as well as “primes” their readership to come back to your blog for more. It could be a free bonus (preferably requiring an optin, of course), or more information on that specific topic, or your products or services to complement it. Referent Authority is authority that is given to you via charisma and interpersonal skills – often via association with others. A random guest post here or there won’t, most likely, do the trick. You need to bombard the internet with your genius epic content so people see your name over and over all around the web. Also, when people see multiple guest posts by you on popular blogs, they get the impression that you are an authority. Since we have only 30 days to make this strategy work for our brand new site, we also need to think of ways to ensure our guest posts would be accepted. Epic content goes without a question, but what else? How about digging into the revenue model of the blog(s) you are targeting? If it fits within the flow of the article, include a link to a webpage that offers the publisher an opportunity to monetize their traffic reading your guest post. Use of this tactic alone will, most likely, not get your article published, but it might just be that little extra boost that gets you through the door. Find popular podcasts that target your niche-specific audience and see if you can get interviewed by them. If you are a newbie, you might need to do some leg work as far as finding an interesting angle to approach them with, but the potential traffic return might be very well worth it. Other than the initial research and making arrangements for an interview, this is a fairly hands-off technique – the podcasters do most of the work. You just sit back and wait for the podcast to be published. Approach bloggers who do speedlinking posts and offer some of your best content to them. Building a relationship first always helps, but if your content is great (which it should be, of course), then it just might get your foot in the door all on its own. Best way to catch Kristi’s attention: every week on Friday, she starts a thread on the Social Media Examiner Blogging Club so members can share their favorite blog post of the week. Best way to make SmallBizTrends roundups: be active at BizSugar.com. If you know of others, let me know in the comments. Since the original question of how to get 1,000 visitors in 30 days from scratch assumes that you don’t have much social media influence just yet, we need to come up with ways to leverage OPI. And that’s where we tap into social media networks like JustRetweet and Triberr. When you have earned enough credits, then you can submit your own retweets into the system and have other members start retweeting YOUR content. You can also earn credits by following other members, referring new members, etc. It’ll help you to get some traffic short term, but more importantly establish your long-term presence. The second network that might help you with your goal of getting 1,000 visitors in 30 days is Triberr. Triberr is a blogging network designed to increase your Twitter influence through leveraging other bloggers’ Twitter accounts. Let’s say I have about 1,900 Twitter followers in my @AnaTrafficCafe Twitter account. With Triberr, I can find like-minded bloggers who also produce excellent content in my niche and form an alliance with them – a “tribe” in Triberr terms. They share my stuff (if they like it, it’s not automatic) and I share theirs. You can choose to create your own tribe or request to join others. The main idea behind it is to find tribes with active members who write quality content and love to share each others’ stuff. That’s how I am able to grow my reach from 1,900 Twitter followers to over 2M. Triberr might be a bit less kind to newbies since they don’t have much to offer in return just yet, but again it’s a powerful strategy to tap into, even if you don’t see the immediate results from it. Last time I talked about Triberr in one of my previous posts, I got a lot of “I just don’t get it” comments. Well, today I am interviewing Dino Dogan, the founder of Triberr, to find out more about the concept behind it, and more importantly about various traffic generation techniques a blogger can use to get the maximum exposure. Stay tuned for the upcoming post on the topic. What Would Other Marketers Do? I’d highly recommend you read Paul McCarthy’s original Ask the Experts: How to Get 1,000 Visitors in 30 Days from Scratch, but here’s a taste of what other marketers had to say. Neil Patel – focus on business development deals. Derek Halpern – I’d reach out to as many bloggers as possible to introduce myself. Corbett Barr – Simply write great content on an interesting topic. Marcus Sheridan – I’d brainstorm the top 50 questions consumers ask in my industry and seek out *exactly* the way they would type that question into a search engine like Google. Rob Cornish – create a low-priced product, reach out to potential affiliates, and let them drive all the traffic. Leslie Samuel – I would create high quality, informative, and helpful videos. Trent Dyrsmid – I would create content that was specifically targeted to this audience and I would be sure to make mention of several other prominent bloggers in my niche as I wrote my posts. Bamidele Onibalusi – The number one activity I would focus on is guest blogging. Sunil – I’d hire a VA offshore, have them reach out to fan pages and groups that include the target audience of my site, and reach out to each one individually and introduce them to my site/facebook fan page (through which I’d encourage them to visit the site). Casey Zeman – I would make education based videos on a niche, one every two-three days and post them up on YouTube. All the different strategies mentioned above came from experience of driving traffic. They worked for us and they will work for you too. Your next step should be picking the one you think will work best for your audience and putting it into practice. Give yourself a deadline of 30 days and push, push, push. Good to know this is the strategy you would use and thanks for the insights on how to improve my efforts. I’ve had good success writing for another popular site and now just have to ramp up the efforts while assuring that I’m posting great quality content on my own blog. The traffic and list are building thanks to your great resources 🙂 Much appreciated! The guest blogging technique is the one I like most and believe it can do wonders (if done the right way). After reading this post I have registered on triberr and retweet and hope they will help me in increasing number of visitors to my blog. All depends on how you use them, Sohag. it was really a great find. You have provided much of the worthy information along with other sources for more information. Here, I have to ask whether our own niche has something to do with what we want to write an article as a guest post or can it be anything else? It always has to be related to your niche, Yogesh; otherwise, you’ll never get the targeted traffic you want to be interested in what you have to offer on your site. Thanks for sharing some excellent tips, Ana. As I read a few comments having mentioned “justretweet” to get traffic to their blog site, I have now an interest to check this stuff. I want to try to see how it works and helps me to get more traffic and followers. Some really good methods outlined over here. My top priority right now is to get some authority for my blog first of all so I can get some people interested in collaborating with me. I guess the starting part is always the tough one. On social media side I was using another retweeting network but I am having some doubts of my own as I see some very awkward retweets that I never retweeted. I remember feeling like a snail when I first started, Lalita – it was hard to see the results. When it finally came together and started moving forward, it was great.  Here’s my suggestion: get my new free traffic report https://trafficgenerationcafe.com/increase-website-traffic/. In one of the steps, I talk about determining where to start with traffic generation. If you can figure out that, then all you need to do is to focus on that traffic source and develop the ish out of it. You see what I mean? One step at a time! Well very interesting post. “Giving ourselves a dead line” is an interesting thing. This could motivate us to work. How did i find you? A friend shared one of your funny’s on facebook with me. before that i never knew you existed. Doing good work! Question though, I’m all about link sharing and guest blogging, but what’s the deal with Google and multiple content? How much is too much before I’m penalized? I wouldn’t worry about it, Suzen; there’s a difference between duplicate content and syndicated content. Read more here: Duplicate Content Phantom: Don’t Be Duped, Be Informed. Informative post Ana, I liked how JustRetweet can be used for the generation of quality traffic for a blog. I was just wondering if other websites offer the same kind of functionalities, if so can you help me figure out what they are? I think I mentioned 3 in this post; I am sure there are more. You have really made my day with your post. I have wanted to sign up with just-retweet longest time. I do not know what is still keeping me dragging my feet. Guest blogging definitely going to make use of it this year. JustRetweet can definitely be very helpful, Sumbo, especially when you don’t have influence of your own. Fantastic job with this article. My site has only been up for a couple of weeks and I am struggling to get a lot of daily visits. I have started with facebook and twitter and have driven the daily average visits up to 136 from 25. I still want it to be much much higher for obvious reasons. Will having a presence on social media translate into a page 1 google ranking? That is my ultimate goal at the moment and I am hoping social media can help. If it’s Google rankings you are after, simply being on social media won’t do it, John. Link building still rules, even though the rules have changed. Thanks for the help, I really appreciate it. I have noticed that my site isn’t even in the top 300 for google with the key words. It only comes up at number 7 if I type the actual site name with a space between the 2 words which is a little frustrating. But I suppose if its hard its worth doing. I think the point that you have mentioned about leveraging another bloggers traffic is amazing and this will help us to get quickly noticed.Also it will not require us to do much work.Multiple Guest Posting is another aspect that truly spells success for this post.Thanks for sharing some great ideas to reach the 1000 mark. This is the first time I’ve heard of speedlinking. I will give it a try to see how effective it is. I am checking out the Just Retweet site right now. Thank you for providing that! Hopefully it helps! I was really amazed to read this post and it was very interesting.The multiple guest posting technique sounds quite cool but i was just wondering if we could get the approval as you have said.I will have to try out this technique by asking them to post it according to my deadline. Nice Post Ana.I really want to implement this idea of targeting 1000 visitors and i think this is possible if i mix all the techniques in the right way.Multiple Guest Posting is the only way that i can reach this mark. excellent post. it offers a complete information about getting 1000 visitors. it also answered some of my questions regarding tweeting my post even though i am not established yet through using JustRetweet.. do i need to pay something to subscribe for Just Retweet? Thanks for sharing some amazing ideas.I really wish that i could reach this 1000 figure mark in such a short period of time.I will have to deliver some mind blowing content to get noticed in such a short span of time.I truly believe that multiple guest posting is the best way out to get recognized quickly as this article has rightly explained. Nice work. This is also my first time posting on your blog. You have a great writing style and nice community here. This post is packed with gold nuggets and while 1000 visitors in 30 days is doable, one certainly has to put the work in. We can’t get warm from a painted fire and need to put the wood in the stove before we can ever get any heat. Having a game plan with deadlines is essential to staying on task with any goal and successfully getting traffic to your blog is one of those things that requires dedication and organization, ESPECIALLY when you are just starting out or have hit a traffic plateau. Good stuff here indeed….I feel like I just took a class. Good points, Michael, and thanks for coming by. Thanks for the tips Anna. I am aiming for more traffic this year and the tips you gave are just what I need. I am really interested about JustRetweet and will go over this in-depth since I only have few followers on my social media accounts. I’ll be crossing my fingers that all these will help me make 2013 my year. Nice post 🙂 I also use JustRetweet and i use Traffup as well to get retweets on my blog posts. I personally think that twitter is one of the best ways to build an audience as a blogger and drive a lot of traffic. Twitter also happens to be one of the most difficult ones for most online business owners, Phil. I do love it though. Thanks for this article. I think of all the methods mentioned above Guest Blogging remains the most effective one.After reading this post I have registered on triberr and retweet and hope they will help me in increasing number of visitors to my blog. Awosome like always! Likd the concept of JustRetweet I’m really glad that you comes with the amazing ideas in your post… this post helped me to get my 1st 1,000 visitors within 7 days! not 30 days…. If you want I can forward you my web analytic data… thank you so much for sharing this amazing content. This post is really showing off a lot of great tips for traffic generation. Oh boy would I do a lot of things different if I had the knowledge of this blog, when I first started my own. I guess that is part of being a blogger to learn new tips along the way…! Good to be back to “normal” and great to have you back, Thomas. Thank you SOOO much for an encouraging compliment, by the way. Wow, Ana, you have so many gems in this Article and I love the way you give Props to others as well, with a genuine heart. Thanks for being yourself and all your interviews online, I look up to you. You can check out my business blog and give me Tips, thanks in advance. Starting from scratch is really hard, especially first 1000 visitors. It’s my recent experience (again) so I really know how it feels. Now more interesting for me is next step, how to keep 1000 visitors a month and expand reach. Building an audience is everything, Kamil. These are the very strategies I used myself to build TGC. That is awesome Ana you have made a good research I guess for writing this post on increasing the visitors to the site, you have included almost the name of every big fish from the SEO Pond to give perfect clarification of what you are trying to say, I am quite interested to see what will it bring to me, when I actually implement it. Perfect article to help me boost my Traffic. I have a Tech blog and have been struggling since some time. I will try to implement all the above tips and will get back to you in 30days (though i visit daily) and tell you my results. cheers. Hey Ana, Those are great ideas and strategies, especially the getting interviewed one. I think for newborn marketers and bloggers, hiring top ones to interview is great idea. Those are the big names you mentioned in the post whom I’ve been watching from long time, especially the Derek Halpern, Neil Patel and you. I’ve driven great amounts of traffic by being interviewed for podcasts, Ehsan – they do the work, you reap the benefit. Thank you very much for the wonderful tips.. Although i have read many blog posts with the same title but your post gave me very new ideas such as JustRetweet…. I haven’t heard of JustRetweet and Triberr before but I’ll definitely take a look at them. It looks pretty interesting. Thanks and I’m looking forward to more blog posts from you. Keep up the good job and happy holiday. Thanks, Jeremiah; same to you. Thanks once again for some more excellent tips, how do you overcome paranoid blog owners who don’t want to collaborate? I find there’s too many in my niche! Just have to figure out what “makes them tick”, Abu. Loving your blog Anna, great info. The guest blogging technique is the one I like most and believe it can do wonders (if done the right way). I’m working on it as we speak, but saving the posts for the new blog that i want to start next year (i have a feeling its going to be big! lol). First read about the strategy of guest posting on multiple blogs at the same time form a guest by Onibalusi at ProBlogger. Could you please provide me with a link to your interview with Dino, cause i am one of those that still need to learn about tribber. I am not serious about tribber yet, but I believe my next blog will have to make use of it. Oh by the way, for this upcoming blog of mine I would love to use the Thesis theme, i want it to be professional like that!! Do they provide on working with the theme? I see that your blog is designed by Ian Belanger of IM Graphics Designs. Are they not expensive? Haven’t published my post on Triberr yet; stay tuned. Yes, there’s plenty of help with Thesis and you’ll have to talk to Ian about his prices. Quick question. You say that having multiple guest posts go out simultaneously will help people remember you. But how can we ensure all of the posts go out at the same time? I have found that some bloggers have their own posting schedules, and sometimes my post takes a while to go out. It is hard to get posts to go out simultaneously. Anything we can do to encourage it? True, Daniel; it’s hard, but not impossible. You can always send an email to the blogger requesting that they publish the post within a certain time range. If your writing warrants it, most will do it. You are so right about guest posting. I found it as a key tool to earn a lot of traffic but still there are lot of tools aside from guest posting that can get your audience attention towards your business. This includes effective utilization of social media, link building and other. In this field of online marketing I believe sky is the limit that can give can you thousands of perspective visitors, all you have to do is to make your content (strategy) really catchy and something out of the box. Great tips Ana and I’ve never really thought about what I would do if I had to start over now. I definitely love Triberr and have a pretty darn large reach which is another reason Twitter is one of my top referrals traffic sources. I can’t believe some people still don’t get that. Now I do love blog commenting but there is no way you’ll get yourself out in front of enough people in just 30 days time but it couldn’t hurt either. The guest posting is of course one of the best ways to get in front of enough new faces. I haven’t done a lot of that still. Great tips as always and thanks for giving us the goods every single time. You rock Ana! You are definitely great in all things Twitter, Adrienne, and you’d be in guest posting as well. Really a very informative post. Yes guest posting is a good way to drive traffic. I haven’t tried justretweet and triberr before. But now I think, I must give it a try. I do see where you are coming from, Jossef, but you have to remember: we all started from zero. Two years ago, no one ever heard of Ana Hoffman. English is my second language. Yet, that’s exactly what I did to grow my blog and it worked. So trust me: I understand “difficult”. However, “difficult” is not “impossible”. Rob’s suggestion to create a low-priced product is definitely an easy and effective way to get traffic and build your list. Anyone, in any niche, can produce a small, inexpensive product of value. Some niches may require a little more creativity than others, but it can be done. I’ve seen great success with it. Down the road, when you have bigger and better products, you can then use these inexpensive ones as giveaways to entice people onto your list. Triberr is probably the easiest one to get started with. I love that site and what Dino is done. If anybody ever wants some help in that area hit me up at @patrickallmond. I get consistent good traffic from Triberr, and it keeps my Twitter feed very active. I also like it because the traffic is spread over several days. What are your most productive tribes, Patrick? JustRetweet and Triber are two service that can bring a lots of traffic according to you. I am little bit doubtful whether these visitors are curious to read your post or they have just retweeted your tweet to earn only few rewards. Don’t you think they are spamming these beautiful medias only to get few garbage visitors. Guest posting is a good ploy to generate traffic, but getting your guest post accepted by one A-list blog (which usually involves a lot more effort), is better than guest posting for 10 average blogs – I learned it after my post was recently published on Problogger. I’d say it depends on many factors, Ali – the strength of traffic is not always in numbers. Congrats on publishing there though! I’ve stopped visiting blogs in the past simply because I felt that some sort of reciprocation was in order, but truthfully, it doesn’t always work like that. Take it on a case by case basis and weight the benefits / frustrations of talking into a vacuum. People say Content is king. Yes, it is. But Proper Exposure to your blog and building an interactive enviroment comes forefront. Hi Ana, I would say that the information in this post is really meaty and juicy. I really learn a lot from it to drive traffic to my site. Thanks you and I will be one of your regular readers. More power to you! I have been on Triberr since my last blog and I still don’t quite get how to use it to its full potential. I am going to take another look soon. JustRetweet on the other hand has been bringing me a ton of visitors but not too many subscribers. I have met quite a few awesome marketers there though! How I would get 1,000 visitors would be to either run a couple solo ads or WarriorForum Special Offers to a squeeze page with a helpful report or video that asks your new subscribers to share it on social media. You didn’t quite specify that these visitors needed to land on a blog or that it would have to be free, so this is what I would do. Plus, if you’re just starting out this would be a great way to land an initial audience before launching a blog. Imagine starting a blog with 200-300 subscribers and how much faster you would grow than from the ground up. I think this was a purely traffic oriented question, Gabe; actual conversions are always another story. I’ve actually been able to run a couple profitable campaigns from there with Worldwide traffic which is $5.60 for 7,000 unique visitors. Anyways, launching a product would definitely bring some visitors, IF you know how to do it properly. From scratch would be pretty tough, unless you’re launching it on WarriorForum or somewhere similar where there’s already an audience. I’m sure you could benefit greatly from creating your own $7 product, which could be as simple as turning your PDF into a video course membership site. There really are endless possibilities! These are good tips. Its perfectly possible to get 1000 visitors in 30 days. There are top bloggers that are doing it. I find Triberr very confusing although I am on it but I need to get back to it on that one. Will definitely make a post to shed light on Triberr, Shalu. This is a great post and I was eager to read it. During the relaunch of my blog, I was able to generate 8,000+ visitors to my site is 30 days. The biggest thing that helped me do that was to build relationships with other bloggers. I think this is THE key to getting a crap load of traffic extremely quick. I started out with first networking and building a small blogging alliance with members of BizSugar (one of the best community curating sites around) and then expanded from there. Another thing that I did a lot of was blog commenting. This played a huge part in building relationships with influencers and getting on their radars. I also published great content on a hot topic (traffic). I’d always make sure to mention influencers, link back to them, and let them know I’d mentioned them by reaching out to them on their social networks. This was a quick and easy way to connect with them on social media as well and tap into their social influence. Thanks for covering this topic. You rock! My first reaction as I was reading your comment, Ti, was “building relationships is more of a long-term strategy, and doesn’t yield quick results”. However, as I thought about it some more, building my own commenting/sharing tribe right as I was starting TGC played a huge role in my initial traffic. So yes, I do agree – relationships and networking is always a great way to go to bring in more traffic. And look at you, by the way, you are like a rising start of the blogosphere – I can’t go anywhere without seeing your name these days! I am implementing some of your shared tips here like Triberr Alliance of like mind bloggers as well sharing tweets from JustRetweets and I find those sites very effective way of promoting your blog post. Aside from those I usually reach out other bloggers through commenting from various blogs and try to build genuine relationship. Building relationships is a necessary cornerstone for any business, Arwin. Won’t get you traffic quickly, but it’s priceless over long haul. You are definitely right Ana. It’s like a long term investment from where you are building your own name and creating your authority. I’ve heard of JustRetweet but never used it. I’ve been on Triberr for some time now and I can vouch for it, it definitely give your content some extra legs. The pat on the back is much appreciated, Peter. Great post, as always, Ana. I hadn’t heard of JustRetweet, but I’m heading over there right now! Those are the masters of the game you just mentioned above. I’ve know that guest posting is so effective towards gaining some expossure as a bigginer if done well. I’ve heard of Triberr before, i even created an account with them some months ago but i don’t think i still remembers my password. Lol. I’ve also heard of Just Retweet but have not really tried them. In my honest opinion, good traffic is the only thing that will determine the success or failure of a blogger, but unfortunatly we often strugle for it. One of my goals next year is to publish enough quality guest posts, i hope you will permit me to publish one on TGC. Thanks for sharing Ana and do enjoy yourself. Since you are on WordPress, is there any way you could add a control widget so that readers (like me) could make the print a bit smaller? The current presentation just fills my screen with what looks like a first-grade reader. I’ve seen the font-changer on other blogs so perhaps you could add it on? This option is available in Firefox, not too sure about other browsers…. Hey Daniel – I’m not trying to be a smart-**s, but NOBODY should have to adjust any settings to view anything. It would be first class if any blog that chooses to use the ridiculous over-minimalist first grade reader font gave readers a click option to change that font – and with WP, when you do, your choice is “remembered” – I don’t use WP much, so I’m not sure if it is a cookie or what, but i know it works! Must admit that’s a first one, Dave; didn’t know it was even possible. Awesome post – I like the Triberr idea, we’ve never tried using that before but may give it a shot. Thanks for being an expert on our round up and for publishing this on your blog! Thanks for coming by, Paul! ahh so its not about OPP its all about OPI still OP are needed. Especially on the revenue model when submitting guest posts. Help other people profit. ok there’s OPP again. I would assume you mean reviews or useful tie ins are there other examples? I used Tweet Adder as well, Jean; it’s a great strategy. We can’t do it alone- whether you partner with someone else or ride the wave of someone else’s traffic. Preferably both. You know what I love doing? Interacting on Facebook. This gets the attention of not only the guru but his/her audience too. And I find it fun, can’t beat that. I’ve been trying to pay more attention to FB lately, Allie; I definitely like it better than Twitter so far. Any great traffic generating tips? I once liked Twitter more and I still get a decent amount of traffic from there. But I feel like Twitter is not as personal as Facebook. Meaning I can have longer conversations on Facebook. Tips? I work hard on trying to find anything to share or say that will help my readers/followers. Even help them laugh that day at being a mom or WAHM. I try to make it look like I am directing the statements and shares at them. I mix personal and business. Like I will one morning ask what breakfast do you prefer as a WAHM? and then an hour later share a post about generating traffic to their blog. I tag the page when I share a post. This sometimes get the attention of the page owner. I will actually go to a page and say good morning or how are you? It is a lot of work. But my page is growing slowly. I would like to know how to build it quicker, get more followers. I know, at least around the WAHM pages, that they do these things called ladders. I tried one and got quite a few followers and I think they stayed. I guess I could do that again. With Facebook I just try to be human and interact with my followers, because honestly, many of them could be my friends so that makes it easier to share a funny video like Ninja Cat. LOL. As you know there is no one way but this is what I do and it seems to be working. I do agree it takes a lot of work, but I think this is the kind of work that will pay forward in traffic and brand recognition. This is a truly information-packed post. I loved every second reading it. Thanks, Ana. This is extremely helpful for people like me who are trying to get our websites take off on the right foot. I look forward to interviewing you today 🙂 I really think this post provides a lot of value, especially the guest posting and interviewing. Tom is definitely great, Mike. Sorry I missed our date; will talk soon though. Hi Ana, Kristi is the Queen of speedlinking, I love her Fetching Friday posts. I’ve had JustRetweet on my “get to work on” list for a while. I even have 472 credits and didn’t even know how to use them. I’m glad to see you recommend them. Best quote of the day, “bombard the internet with your genius epic content”. JustRetweet is a piece of cake, Brian; the most difficult part for me is just to remember to submit my posts. This article is what i call “Da Bomb”. Its so perfect, and thanks for posting this timely information. I set up new blog and my aim is to generate 1000 visitor this December. Now i have a guide to achieving this.I am going to bookmark this page and read it daily. Thanks once more and for the free ebook also. Hey Ana, first time on your blog and I’ve enjoyed it very much. Great strategies for getting quick traffic. I’m gonna give a few a try. Thanks a bunch fellow Tribe mate! Thanks for coming by, Celene! I’ve never been to JustRetweet. I’ve been on Triberr but it seemed a little daunting for someone just entering the Triberr world. That being said, I’ve heard excellent things about both communities. I’m going to have to look into each. I think it’s definitely worth the initial time investment, Ryan – I am talking about an hour or so at most. We all read too much and do too little, Jim :); one bite at a time should do the trick. You’ve got some great ideas. Much of what you’re talking about has to do with building relationships….. I like that. It is easy to think that we are a deserted island all out by our self. the only way that that is true is if we don’t make connections with other people. I agree Just retweet is a great tool and haved used it. I will be looking forward to your up comming post on Triberr, as I have been one of those that just don’t get it. 🙂 Could be I’m really not comfortable with it. Did the interview with Dino Dogan, Stephen; stop by next week – I’ll see if I can change your mind about Triberr.